The Web Drop feature allows you to receive files directly from other people without them installing the Binfer app. They drop files to you from a WebLink that you create. 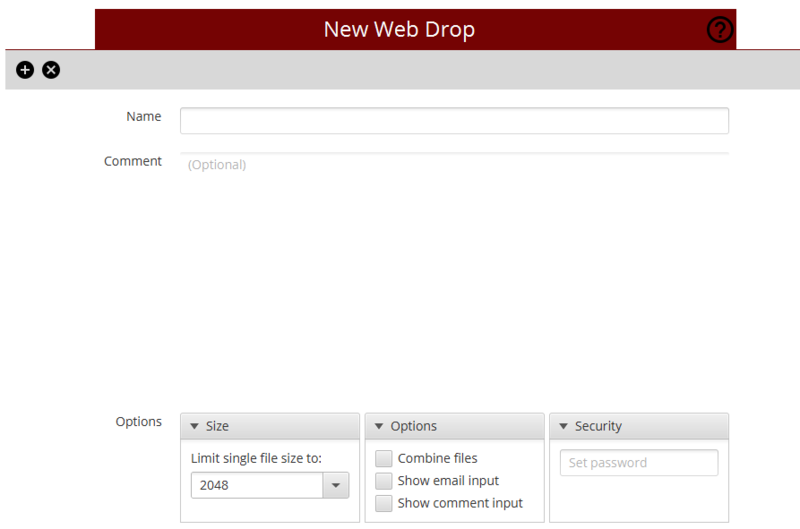 To create a new Web Drop, follow the steps below. Name the Web Drop. Common naming structures include: Files for Brian, Files for MyCompany, Files from ABC Corp, Files Regarding Project 1, etc. Tip: A user can enable or disable a Web Drop, require recipients to enter their email or allow recipients to add a message, combine all received files into one folder as opposed to folders based on recipient emails, and add a password all via the Options tab of the Web Drop feature. Tip: A user can determine what folder files will be received in from the Settings tab.